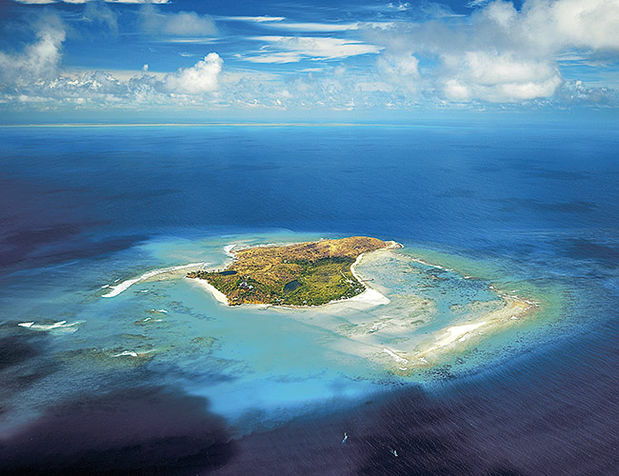 Private Islands and celebrities: they seem unable to part from each other. 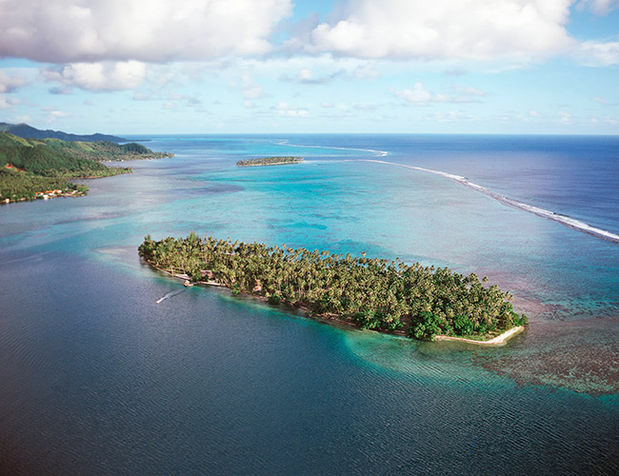 The most famous island owners were probably acting legend Marlon Brando, who relaxed on his beloved atoll Tetiaroa, and the Greek shipping magnate Aristotle Onassis. His last wish was to be buried on his island Skorpios. Although—or precisely because—many of the celebrities are spoiled by success, are always paid court to by somebody, and are at home in the metropolises all around the world, they seek on their own or on rented islands a grounded life in and with nature. They enjoy the luxury of exquisite resorts and let themselves be pampered in upscale island spas. But this only works if these establishments are administered in harmony with the environment and if they make it possible to forget the fast and artificial life of the big city for a while. 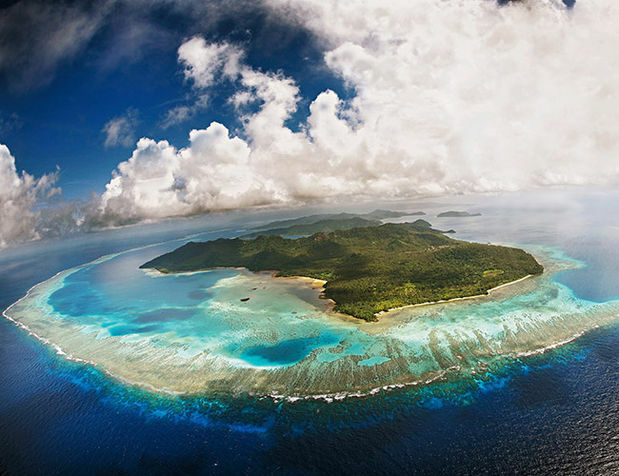 One of “my” island enthusiasts once said: “My island is the pharmacy for my soul.” Most of the celebrities who seek some seclusion on a small or large island and who would like to move freely without being recognized originate from show business or are internationally known heavy hitters of economy. House hunters seeking their very own sunshine paradise can buy the sprawling home of "Die Hard" star Bruce Willis and his actress-producer wife Emma Heming-Willis — if they’ve a cool £25 million to spend. 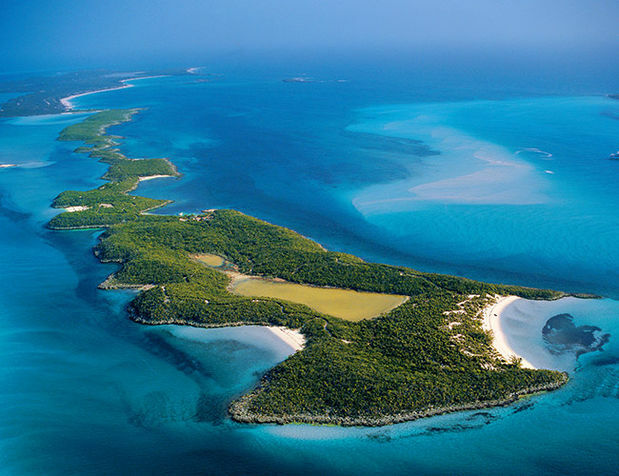 When magician David Copperfield has enough of glittering Las Vegas, he swaps it for the turquoise glitter of the Caribbean around Musha Cay. His dreamlike secondary residence in the southern Bahamas spans over 150 acres and is framed by three smaller isles which guarantee absolute privacy—for everyone who wants to rent the island. It was certainly the shoot for “Pirates of the Caribbean” which lead Johnny Depp to search at the same place for a lonely and paradisiac safe haven. He made a find in the Exuma chain of islands in the Bahamas: Little Hall’s Pond Cay enchanted the Hollywood star with lush vegetation, six snow-white beaches, and a lagoon surrounded by palm trees. Only a small landing stage for his yacht connects the island to the outside world. Mobile reception? No chance! 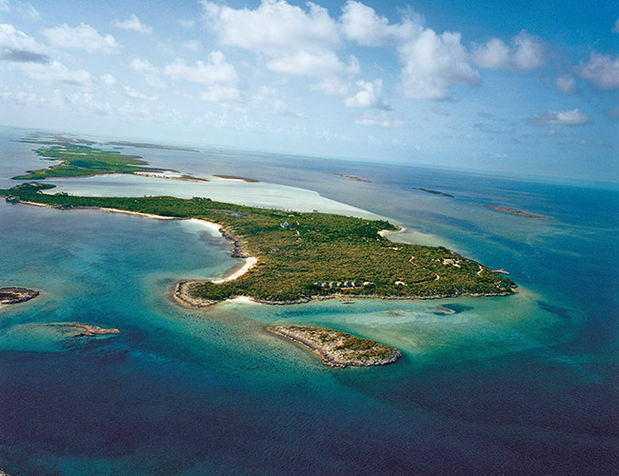 In order for Little Hall’s Pond Cay to remain the jewel the actor fell in love with, he already encourages his children to develop a sense for nature preservation. This attractive private island owned by the famous German tv host Jörg Pilawa on the vast Ponhook Lake is available for rent. The lake is very popular among tourists and natives and is characterized by its many islands and very interesting scenic coastal areas. It reaches temperatures of up to 23 °C in summer and is therefore suited for all kinds of water sports. 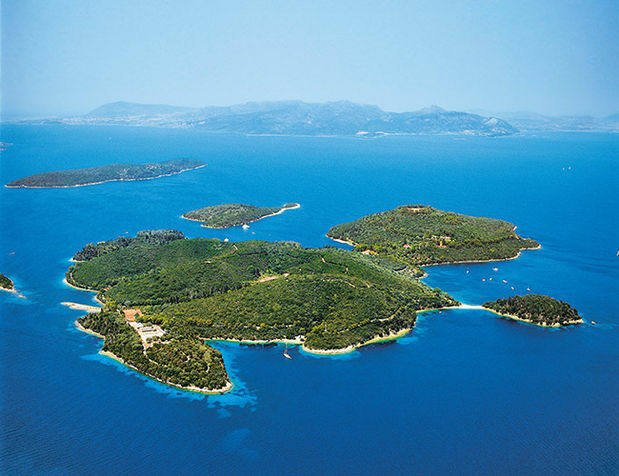 The island is covered by dense mixed forest and one could not imagine a more relaxing place to stay. Sir Richard Branson, the founder of Virgin Records, by now owns virtually anything that can be owned, from his own airline to a private spaceship. He completed his Virgin empire with a very own Caribbean island, which he also rents out: it probably goes without saying that the little paradise belongs to the Virgin Islands. When the Greek shipping magnate and billionaire Aristotle Onassis married Jackie Kennedy on the 20th of October, 1968, the whole world looked at Skorpios. Onassis loved this place and spent a lot of time with his family here. His son Alexander and daughter Christina lie buried next to him between the gentle hills of the island. Skorpios has remained a family property with Athina as heiress. Laucala lies with its singular five star resort beyond the northeastern coast of Taveuni. From the interior to the kitchen, the operators adhere to a holistic philosophy in accordance with the exotic nature of the South Pacific. 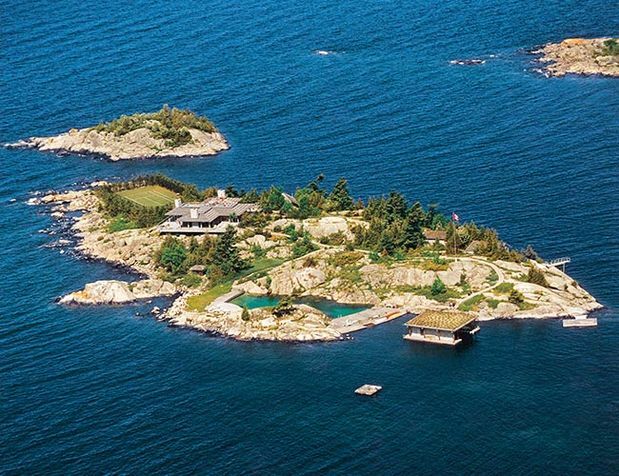 The publisher Malcolm Forbes bought the island in 1972 and was also laid to rest here. Today, Dietrich Mateschitz, founder of Red Bull, owns Laucala. 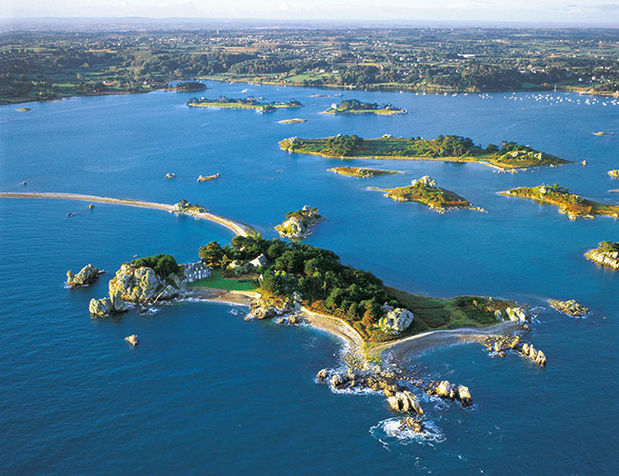 In 1938, when American pilot Charles Lindbergh, who was the first to complete a transatlantic solo flight, planned on withdrawing from the public, he bought Île Illiec at the fabulous rate of 16,000 dollars, which is about one dollar per square yard. Today, this small Breton jewel is owned by the Heidsieck family. For more than 20 years, Peter Munk, a Canadian businessman who possesses the world’s largest gold mining company, has owned Jacklin Island in the Georgian Bay, which he affectionately calls a “family member.” It lies in the neighborhood of several 10,000 islands with distinctive rocky bays and limestone cliffs. For many years, Tiano was a second home to Diana Ross. The singer even spent her honeymoon here in the ’80s. A villa in the Polynesian style and a comfortable guesthouse crown this small South Seas paradise. The rustic estate made out of grey natural stone appears dignified and Old English. Many chimneys and elaborate wood paneling create a comfortable ambience. 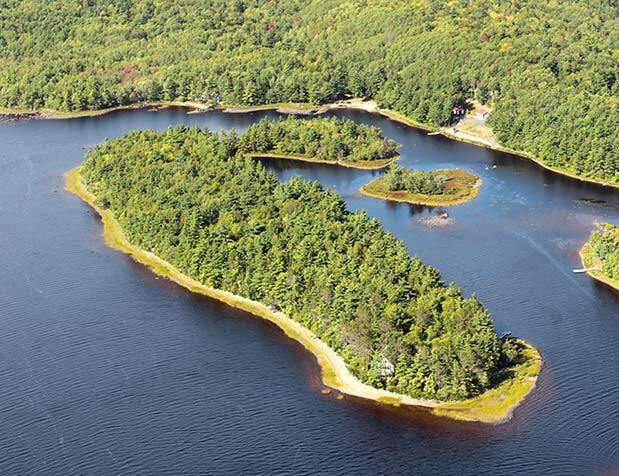 A small, tree-lined private dam connects the island to the shore, but apart from that you are ll by yourself on the 8.5 acres. 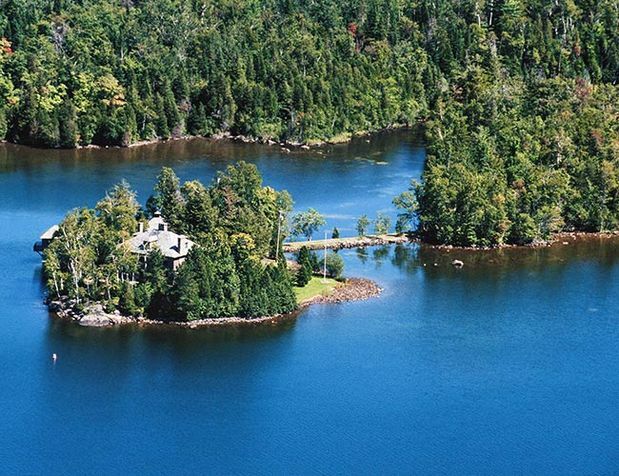 Brooke Shields lived on Emerald Island for some years and enjoyed, while surrounded by high trees, the seclusion in the middle of Chazy Lake, which belongs to the gorgeous Adirondacks Park.